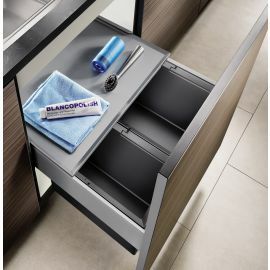 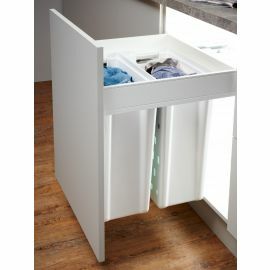 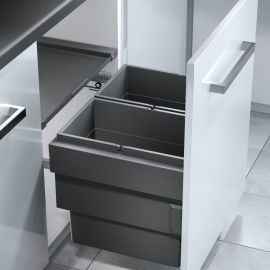 This section highlights in-cupboards bins that can be used in special situations and includes range for the increasingly popular pan drawers, products designed to fit under sinks and ones designed for storing laundry either in your kitchen or utility room. 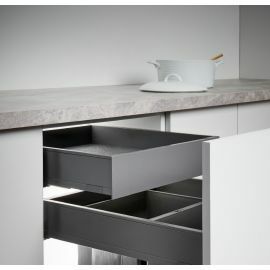 Pan-drawers have become increasingly popular in modern kitchens and tend to be wide and low in height. 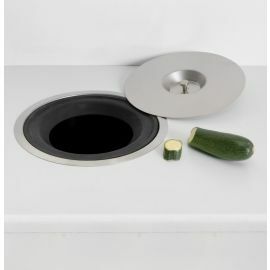 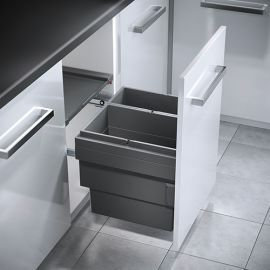 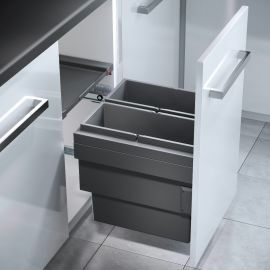 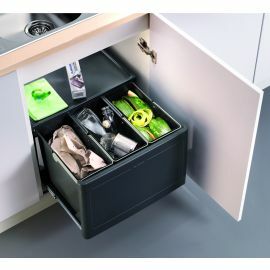 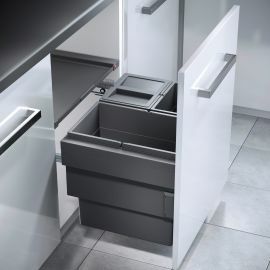 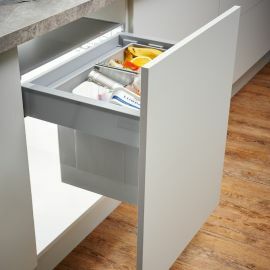 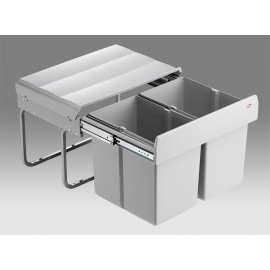 Our products fit drawers from 600mm wide up to 1000mm wide and all incorporate waste and recycling options making it easy to segregate rubbish in the home. 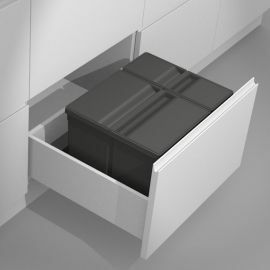 An increasing selection of our in-cupboard products are designed to fit under sinks and are distinguished by two features – low height, typically under 450mm and/or short depth, as little as 325mm deep. 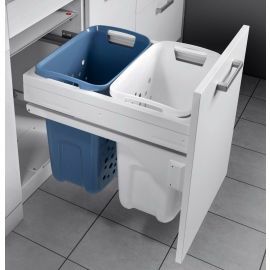 This enables the plumbing to sit either above or behind the bin. 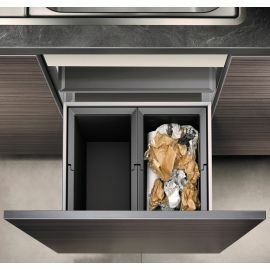 Please check your space before ordering! 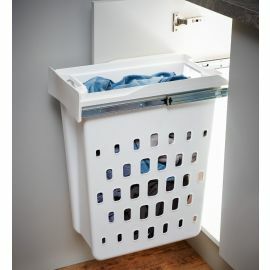 With the rise of open plan kitchens and utility rooms finding somewhere to store laundry before or even after its washed is becoming an increasing problem for many customers. 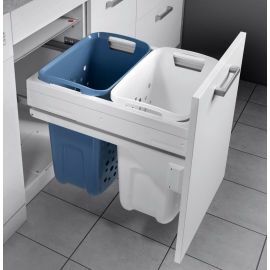 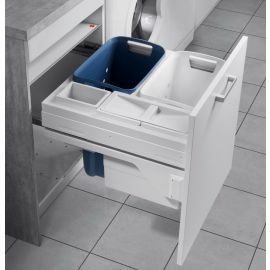 Our specialist laundry bins are the answer to that problem, providing at least two compartments to separate whites from coloureds and often with handy compartments for washing powder and conditioner.